A very close Qualifying session ended with another all-Mercedes front row, a bit unexpected for the 10,00th race. 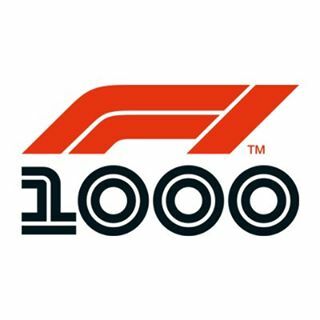 Fun watching Johnny Herbert ask F1 drivers for their favourite races; so many great moments, especially the footage of the very first race which was held at Silverstone and that’s why (Bernie and I think) the 1000th should have been there too. Glad to hear Professor Sid Watkins mentioned; he and Jackie Stewart really helped F1 become safer. Only the second time ever that the top 10 have lined up with teammates side by side; today it’s the Mercedes pair, then Ferrari, Red Bull, Renault and Haas. *ALB has to start from the pit lane as his car had to be rebuilt after his big crash in FP3. Initially the suggestion was that it’ll be a 1-stop race but more and more it’s sounding like some may go for a 2-stopper. Compared to Quali, the temperature has dropped and the wind has changed direction. The front five start on medium compound tyres; the next five are on softs – that was all determined by their Q2 runs. Behind them, P11 to P18 are all on mediums, with just GIO and ALB on softs. VER has spun his Red Bull on the formation lap! Is this just so Ferrari can tell LEC to let VET pass him again? 44: LEC is 14sec behind VER – will he be able to catch the Red Bull? Radio from HAM asking if BOT is under pressure; is he thinking about backing off?